Now that it’s dark by the time we meet we’re back to scouting out indoor sketch sites. We met up Tuesday night at the Saturn Cafe (to carry on from last week’s sketching at Jupiter). But we found the atmosphere at Saturn kind of sterile, gray and sad despite their vibrant Barbie-pink soda fountain theme so we headed across the street to the vibrant, warmly lit Cancun restaurant. I enjoyed drawing all the odd angles and perspective in the multi-level ceiling and light fixtures. But when I finished I wondered why’d I’d chosen to draw the least colorful area of the cafe which has wonderful Aztec-themed murals on all the walls. The young woman taking orders asked to see my sketch at the end of the evening, wondering what we were all doing and why I’d been looking in her direction so carefully. I was embarrassed by how poorly I’d drawn her face (drawn in ink there was no fixing it) but she smiled and said they were nice sketches. 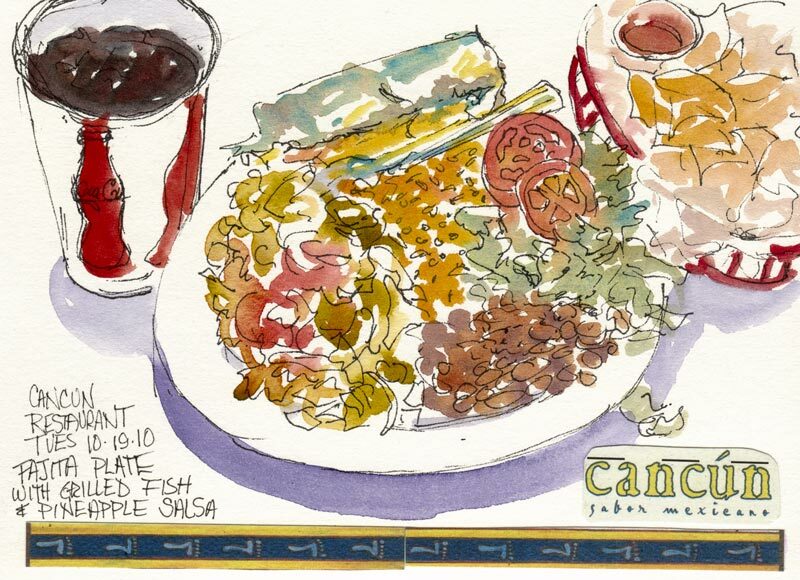 (More sketches from Cancun by my sketch buddies on Urban Sketchers Bay Area). 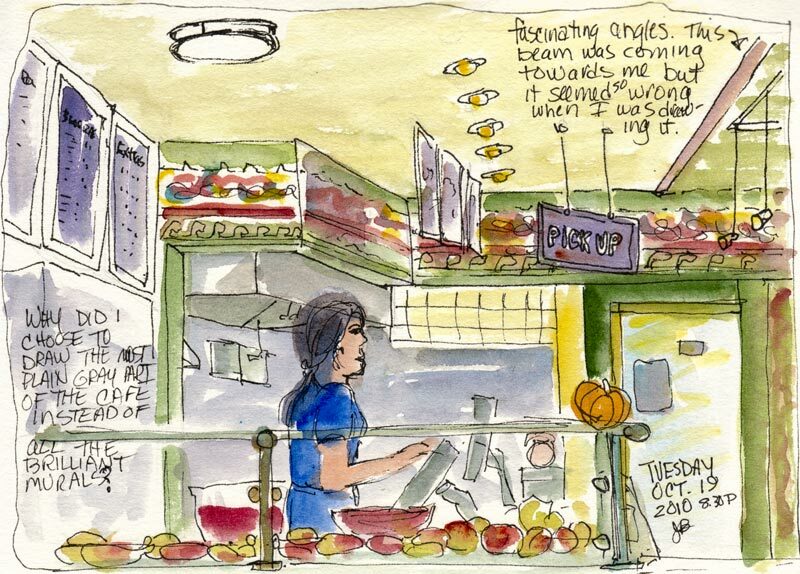 Sketching your meals… great idea. Sketches are awesome. Great artwork!